Over the last 3 decades, award-winning and critically acclaimed guitarist Wolfgang Muthspiel has toured and recorded with many of the worlds jazz greats; the most recent of which features Brad Mehldau, Ambrose Akinmusire, Larry Grenadier & Eric Harland on ECM Records. Alongside a busy touring and recording schedule, Wolfgang also runs his own label – Material Records – and recently set up the Focusyear project in Basel which gives around 8 or 9 young musicians the chance to spend a year practicing, performing and studying together. The students on your Focus Year programme get an incredible range of tutors coming in. What sort of things do they do with the musicians? One of your early gigs was touring with Gary Burton. Music aside, what did you learn about the ‘business’ side of jazz doing that? Gary is a clear and intelligent person, who generously shared a lot of information with me, be it on his approach to music or on the music business. He had a great career and it was helpful to see the factors that made that happen. You studied at Berklee. How important is it in 2019 to attend (or have attended) a music school like this? I think it is important to study with a great teacher. This can happen in university or outside. One advantage of a place like Berklee is that one meets a whole generation of musicians. In my case, there are many who I still play with. Did you book gigs yourself in the early days and, if so, any particular tip you could share with musicians who are still doing this themselves? I booked my own gigs for a while, because I just needed to play. There were months where I did more booking stuff than music. What I had to learn was: don’t take anything personally. Business is a game that one can play. It is not extremely complex, but it needs time and a good vibe. As the founder of a record label, what advice would you give a musician today who is about to self-release an album? If you had a limited budget of $500 to get it ‘out there’ what would you spend it on? I would spend it on help for booking a great release concert. You’ve worked with ECM. How does Manfred Eicher keep producing great, critically acclaimed albums?! How did it work with him as a producer? I can’t answer how Manfred does it. In my own experience he has been a strong musical voice in the process of recording and mixing. He does not hold back with his input. He lives for this work. That alone is inspiring. There are no commercial considerations in play when you record with him. It’s really about catching the moment of improvisation. Can you name a few musicians who deserve some extra exposure in 2019? Which jazz clubs in the USA do you most enjoy playing at? I had a great experience at SF Jazz and at The Jazz Standard in NYC I am dreaming of playing the Village Vanguard soon. Can you name one album that has inspired you lately? 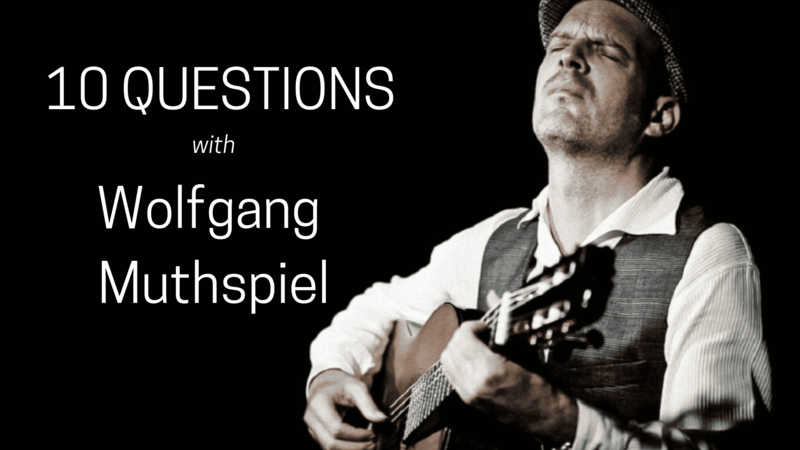 Big thanks to Wolfgang for taking the time to answer these questions and for putting together such a great project in Focus Year. Born in 1965 and living in Vienna, Wolfgang is considered to be one of the most influential guitarists of his generation. After his classical training on the violin, he discovered his love for the guitar at the age of 15. His interest in improvised music finally led him to jazz. After his studies with Mick Goodrick at the New England Conservatory and later at Berklee College of Music in Boston, he toured for two years with the Gary Burton quintet and earned himself an excellent reputation in the Jazz scene. From the mid 90s, he lived and worked in the Jazz capital, New York. During this time, he daringly took sensitive excursions into the world of pop music with Rebekka Bakken, while pursuing the electronic project Muthspiel/Muthspiel with his brother. As a sought-after sideman, he has played for Trilok Gurtu, Dhafer Youssef, Youssou N’Dour, Maria Joao, Dave Liebman, Peter Erskine, Paul Motian, Bob Berg, Gary Peacock, Don Alias, Larry Grenadier, John Patitucci, Dieter Ilg, the Vienna Art Orchestra and many others. In the year 2000, he founded the label “Material Records” which, up to the present, has released numerous recordings of international artists. Following the European tour with his new quartet , 2008, and the duo-project “Friendly Travellers” in collaboration with the drummer Brian Blade, 2008, Wolfgang Muthspiel increasingly dedicated himself to the trio “MGT” (Muthspiel-Grigoryan-Towner) with whom, after several concert tours, a highly-acclaimed debut album “From a dream” was released. Muthspiel debuted with “MGT” on the album “Travel Guide” in 2013 on the reputable Munich label ECM. In 2014, his debut as Bandleader with ECM followed. The trio recording “Driftwood” with Brian Blade and Larry Grenadier triggered extensive media coverage and, in the year 2014, Muthspiel was given his own cycle in the Vienna Konzerthaus. Another vocal recording followed in 2015 with the project “Vienna World”, during the course of which he played concerts and recorded with 18 musicians in Rio de Janiero, Buenos Aires, New York, Sweden and Vienna. In autumn 2016, “Rising Grace” was released on ECM records. This quintet recording, with Brad Mehldau, Ambrose Akinmusire, Brian Blade and Larry Grenadier, graced many ‘Best’ lists in 2016, received five stars from Downbeat Magazine and provided the “Wolfgang Muthspiel Quintet” with a number of sold-out concerts worldwide. Among Wolfgang Muthspiel’s numerous awards are the Hans Koller prize for “Musician of the Year” and the award for “European Jazz Musician of the Year 2003”. What’s more, the Musicians Magazine elected him among the “top ten guitarists in the world”. Focusyear is a one-year program for an internationally assembled ensemble of nine students, who are coached in a regular cycle by acknowledged masters of the international Jazz scene. The students selected for Focusyear receive a full scholarship covering tuition and the cost of living, in order to allow them to focus on music exclusively. Over the course of the year, the ensemble creates concert programs and records an album, which will be produced in the school’s own recording studio. The band perform regularly in the school’s Jazzcampus Club and a club tour is organised for spring and a festival tour for the summer. The 2017/18 Focusyear project included Hungarian drummer Marton Juhasz who went on to record his debut record as bandleader with all his colleagues from the programme. Featuring 8 musicians from 8 countries, you can check this out here.